If you're fans of the hit television show, Dexter, then you're well aware that Dexter is a complex character. While he is a serial killer and an anti-hero character in the show, he is also a dedicated family man with a conscience, and a member of the Miami Metro Police Dept. 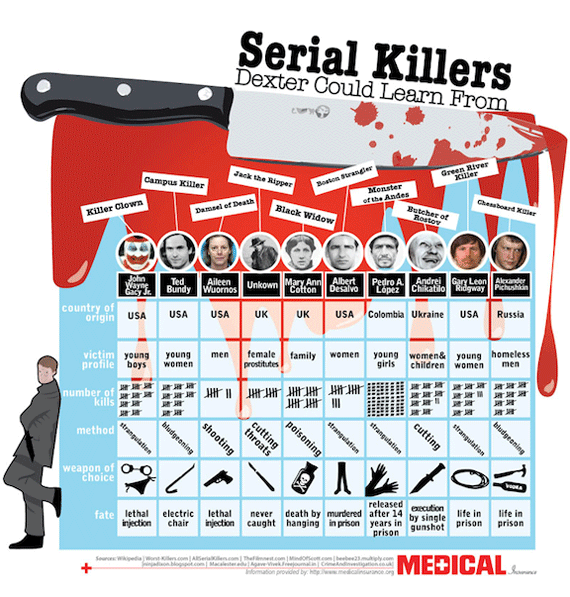 Unlike Dexter, here's a look at some simply cold-blooded killers, courtesy of our friends at the Medical Insurance Blog.